StrapPress is a starter WordPress theme based off the popular Bootstrap 4 framework. Use the theme as-is or as a starting point for your next theme project. 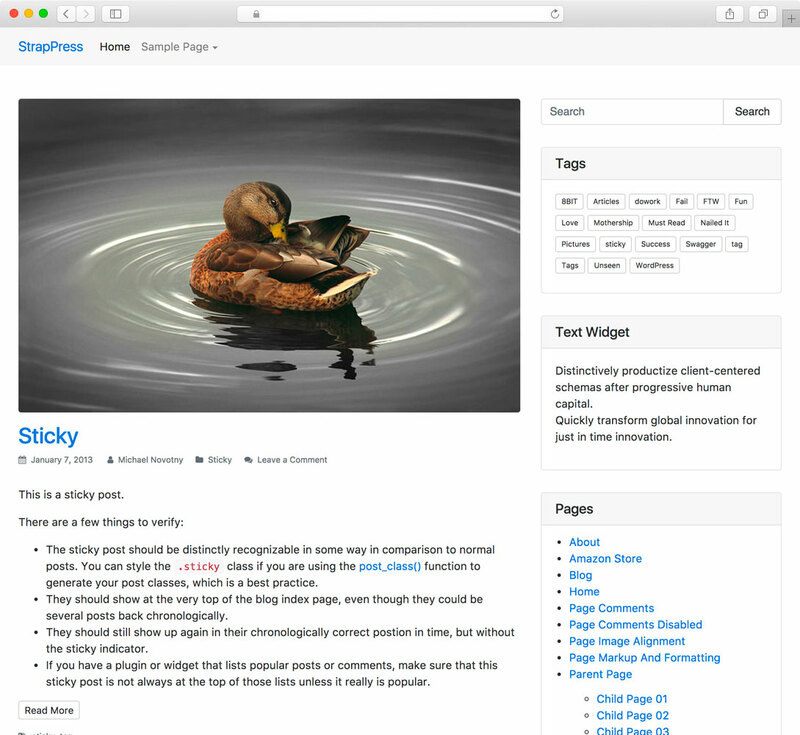 StrapPress is a free WordPress theme. Download the theme on Github.com and start building your next project. Add more page layouts and extend the functionality of StrapPress with custom "blocks" over at MVPWP.com.